Using Lampe Berger for the 1st time. 1. 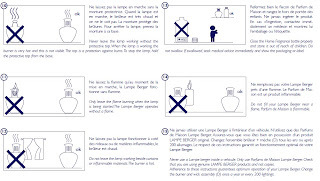 Place the Lampe Berger diffuser on a stable surface away from easy flammable materials. Remove the cap and threaded cap. 2. 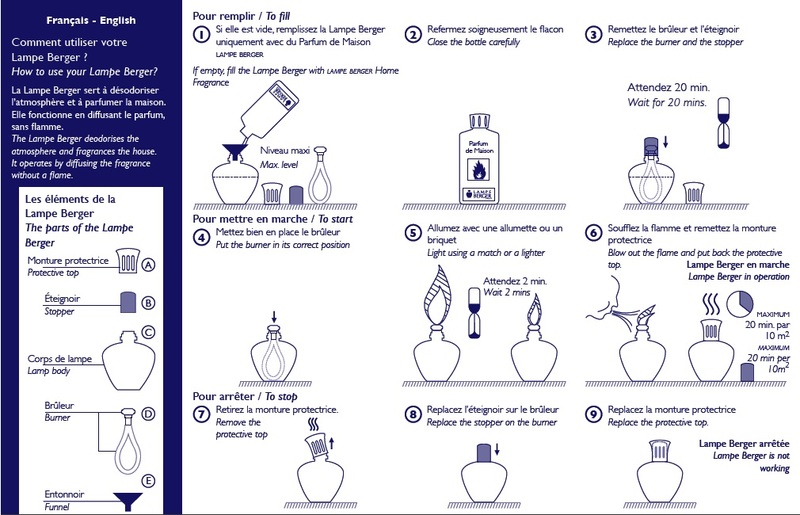 Pour Lampe Berger Essential oil into the diffuser with funnel provided. 3. Insert the wick fully into the metal neck of the Lampe Berger. Make sure sure that the stone rest firmly on the opening. Place the cap over the stone and allow the wick to soak for 20 minutes. The stone will be wet and in dark grey colour after 20 minutes. 4. Remove the cap. Light the stone for 2 minutes. Since it's burning in flame, please locate the diffuser at a proper place. Blow off the flame after 2 minutes..
5. Your Lampe Berger diffuser is now operating. Place the threaded cap. The stone will be burning over 100 degree celsius. The threaded cap is to protect from touching the stone. 6. 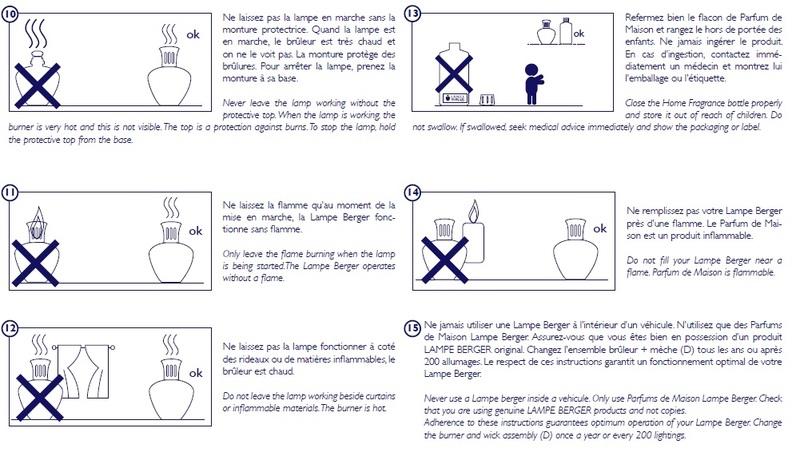 To extinguish your Lampe Berger, carefully open the threaded cap which is hot. Cover the cap. The the stone will cool down. Keep the diffuser at a safe place until the next usage.